Welcome to the 1/8 Cragsman crawler RTR. Are you up for something new and unique? 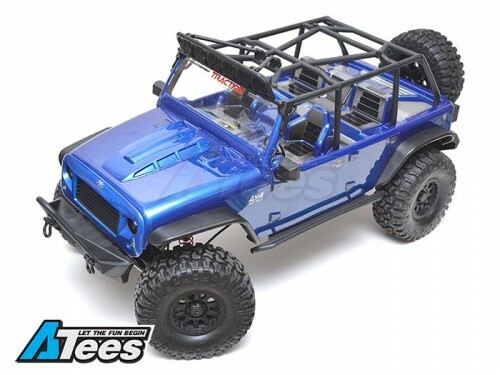 Will this 1/8 crawler change the game? Traction Hobby sets out to produce something the RC crawling world hasn't seen - a 1/8 sized crawler, larger than almost all scale crawlers in the market today. 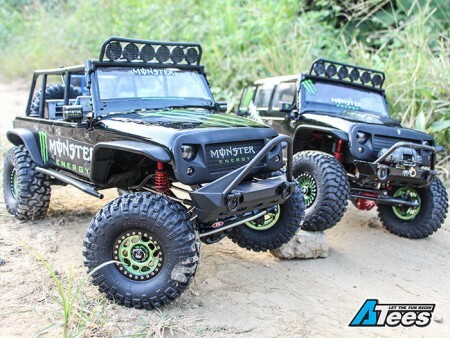 Their vision is to create a new category for scale crawling and even racing. The main gearbox features a two speed transmission for Hi or Low gear selected by turning a knob on the 6-channel transmitter. On the transfer box it you can go 2WD or 4WD turning a button on the transmitter. The body is aggressive looking and the scale is superb. The body is made out of lexan and is lightweight. It includes a plastic roll cage and give you the open top option. The wide body fenders are plastic and comes with adjustable side mirrors. The body is held on by four magnetic stealth mounts and Velcro on the side of the truck, securely locks the body in place, so there is no need for body pins or screws to hold the pre-painted body in place. The body comes with all light buckets for the front and rear headlights and taillights. The roof lights include light buckets. They do not come with LEDs so you will need to add your own set of lights. For scale accessories, it comes with metal window guards and a snorkel with real metal sheet at the air in-take. Photo is for reference only. Clear version does not come painted. Aluminum beadlocks are optional. NOTE: A few quick and easy assembly procedures are required like gluing the wheels/tires and taking the protective film off the body. See the Traction Hobby in action on YT! This item does not ship to Australia. Please find local Australian distributor for your Traction Hobby products. 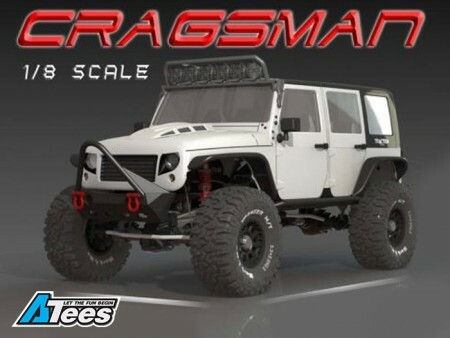 The Traction Hobby Cragsman 1/8 RTR Crawler (Rubicon Clear Body) has an average rating of stars based on 28 customer reviews. This is super item. I will buy another one.